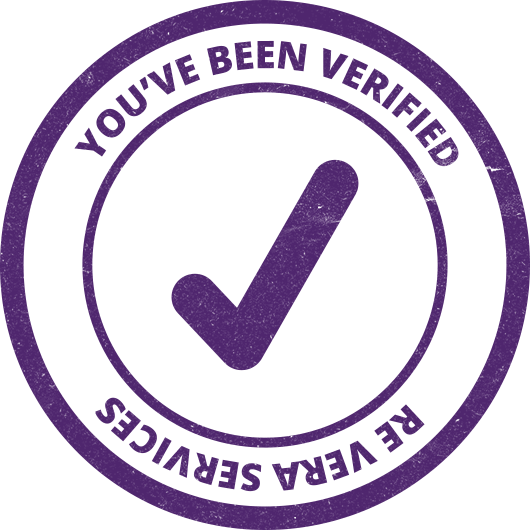 Re Vera specializes in educational and work related verifications. We also assist with streamlining verification processes. Whether verifying applicant information or new hires we save you time and give you peace of mind. Are you an educational institution wishing to perform complete verifications or random checks of your incoming students? Our MBA Admissions Office contracted with Re Vera to help us confirm the validity of accepted student applications. They were first class. Re Vera was able to operate independently but were always responsive to specific requests or concerns. They were tenacious and detail oriented in accessing professional and academic information for both domestic and international admitted students, and were knowledgeable over a wide range of industry contexts. Re Vera has the experience to help you complete your verifications without the stress of adding another task to your already busy staff. Since we can customize your verification package, your school can choose to look into as few or as many aspects of your applicants' packages as you wish. Why not rest assured that your incoming students are really who they say they are? After all, these students will soon be your alumni. We work one-on-one with you to manage all aspects of your verification project.We construct acustomized package to fit your needs. We provide scheduled updates and reporting utilizing one account manager and experienced professionals who attend to your every need. We can cover all interal costs associated with your verification process in the package price quoted. This includes phone costs, both domestically and internationally, necessary translation services and compliance with Fair Credit Reporting Act. Personally identifiable Information is only collected with an applicant's express consent under the Fair Credit Reporting Act (FCRA), and it is only given out with the applicant's express consent. Personal information stays safe and secure in our database, and is not accessible or available to anyone without the user's permission. The information can only be requested by a Consumer Reporting Agency pursuant to the consumer’s authorization under The Fair Credit Reporting Act. Re Vera Services is a supplier of back office services only, and does not maintain or compile data on consumers. In addition, Re Vera Services does not compile or maintain a database on past employment, education or credentials. Any data maintained in its system is only for purposes of auditing and compliance, and is not accessed in the future in order to supply data on any consumer. For more information, a consumer can contact privacy@reveraservices.com. 1. This web site does not collect personally identifiable information online from individuals. 2. No information provided to this site through e-mail or any other method is ever released, utilized, or shared with anyone else, including, but not limited to, third parties or affiliates without authorization from the consumer. 3. The Re Vera Services system is a separate web site that is only available to Re Vera Services and Re Vera Services clients’ customers and is utilized as a means for Re Vera Services to receive orders from authorized entities and to transmit information to and from authorized users. However, all such usage is strictly between Re Vera Services and business entities whose legitimate need for the information and permissible purpose has been verified pursuant to section 607(a) of the FCRA which states: (a) Identity and purposes of credit users. Every consumer reporting agency shall maintain reasonable procedures designed to avoid violations of section 605 [§ 1681c] and to limit the furnishing of consumer reports to the purposes listed under section 604 [§ 1681b] of this title. These procedures shall require that prospective users of the information identify themselves, certify the purposes for which the information is sought, and certify that the information will be used for no other purpose. Every consumer reporting agency shall make a reasonable effort to verify the identity of a new prospective user and the uses certified by such prospective user prior to furnishing such user a consumer report. No consumer reporting agency may furnish a consumer report to any person if it has reasonable grounds for believing that the consumer report will not be used for a purpose listed in section 604. 4. All data on the Re Vera Services system is protected by secure access, ensuring “for-your-eyes-only” data exchange. Viewing of information is restricted to the users and customers that should have it with state of the art security, encryption and password protection. The Privacy and Integrity of all information is fully protected. All employees who have access to any information from this site have signed privacy agreements and are regularly trained in privacy practices and procedures. 1. Notice: This service collects information on individuals for the purpose of providing the information to employers for employment related decisions and educational institutions for the purpose of admissions decisions. The information may also be provided to agents of employers such as recruiters or staffing firms. The data that is collected on individuals is used to provide employers and schools with employment background checks and credentials verification on potential applicants or current employees/students. The information is used by employers to make decisions on who to hire, retain, promote or re-assign. It may also be utilized to conduct employee or student investigations where an employer or educational institution has a suspicion of work related misconduct or wrongdoing, or an issue arises as to employee compliance with Federal, State, or local laws and regulations, or any employer policies. Human resources and security professionals within employer organizations and Admissions officials will utilize the information. This notice covers human resources data that is obtained manually by this service on behalf of employers and educational institutions. The data is obtained by manually contacting the appropriate sources of the data. 2. Choice (opt-out of sensitive Information): This service gives consumers a choice for the collection of information by virtue of the fact that the information is only collected with the consumer's explicit consent. Choice is further afforded by the fact that this service only operates when a consumer explicitly identifies those past employers, educational institutions, or other credential granting organizations that are identified by the consumer. Furthermore the information collected is only utilized for the purpose described above in the section on “Notice.” In the event a consumer wishes to opt-out of any use of information collected by this service, a consumer can notify this service at privacy@reveraservices.com that permission or any use of the data is withdrawn. That does not mean that if a consumer opts-out that the data is erased or deleted. Various laws require that this service maintain the data on file for a consumer for a period of time for the protection of the consumer, which in the case of data collected for employers in the United Sates is six years as a result of the statute of limitations required under the federal Fair Credit Reporting Act. However, in the event of an opt-out, the data will not be forwarded or utilized by this service for any purpose. 3. Accountability for Onward Transfer: The information obtained by this site is forwarded only to an entity that has been authorized by a consumer to receive the data or an agent of the end user operating on behalf of the end-user. The information is only provided to the employer for purpose described in the section under “Notice.” This site may also operate as an agent for a Consumer Reporting Agency as defined under the federal Fair Credit Reporting Act (FCRA). In either event, the employer or the CRA must certify that the information will be used only for the permissible purpose of employment and that the information will remain private and confidential. This site also takes reasonable steps to insure that any party that receives such information has certified that it will maintain privacy and confidentiality and will utilize the information for employment only. By definition, any third party that receives information from this site has given a consumer notice as to the purposes of the collection of the data and a charge of whether the data is to be collected by virtue of the fact that an employer must obtain a written consent to obtain and use any data obtained by this site. Re Vera Services remains liable under the Privacy Shield Principles if an agent processes personal data covered by this Privacy Shield Policy in a manner inconsistent with the Principles, except where Re Vera Services is not responsible for the event given rise to damage. 4. Security: This service takes all reasonable procedures to protect personal and identifiable information from loss, misuse and unauthorized access, disclosure, alteration and destruction. The service utilizes SSL encryption to protect sensitive information online. We also do everything in our power to protect user information off-line. All of our users' information, not just the sensitive information mentioned above, is restricted in our offices. Only employees who need the information to perform a specific job are granted access to personally identifiable information. Strong password protection protocols are used on all computers. Furthermore, all employees are kept up-to-date on our security and privacy practices. Finally, the servers that are used to store personally identifiable information are kept in a secure environment, with appropriate security measures. If you have any questions about the security of our service, you can send an email to the contact links on this web site. 5. Data Integrity and Purpose Limitation: This service only collects data that is strictly necessary for the purposes listed under the section on “Notice.” The data includes information that is necessary to identify the consumer for purposes of collecting employment related information. 6. Access: This site provides access to consumers on all data collected about a consumer in order to allow a consumer the reasonable opportunity to ascertain what personal data this service possesses about a consumer, and to correct, amend or delete information that is inaccurate or incomplete. Disclosure is provided under the terms of the federal Fair Credit Reporting Act. Under certain circumstances, a consumer is entitled to a free copy of their report. Under all circumstances, a consumer is entitled to a copy of their report under the terms of the FCRA. For a citizen of the EU, this service reserves the right to charge an administrative fee not to exceed $15 to cover the cost of reviewing our records to determine if a consumer is in our file, and the administrative cost of obtaining and forwarding any information. However, the service also reserves the right to engage in reasonable efforts to confirm the identity of anyone requesting data, so that we only provide data to the consumer that is the subject of the data. Although we make every effort to ensure that the data we collect and store about you is as accurate as possible, this service cannot guarantee that third parties are accurate in information that is transmitted and therefore we are not responsible for the data. We are not responsible for the accuracy of data about you that may be supplied by any other third-party sources of information or our clients. Taking into account the nature of the processing, Re Vera Services shall implement appropriate technical and organizational measures to respond to requests from Data Subjects and in response to lawful requests by public authorities, including to meet national security or law enforcement requirements. 7. Recourse, Enforcement, and Liability: Recourse, Enforcement, and Liability: This service verifies adherence to the Privacy Shield by means of in-house verification by the management of this company. In addition, individuals are provided a readily available independent recourse mechanism by which each individual’s complaints and disputes are investigated and resolved at no cost to the individual and by reference to the Privacy Shield Principles and damages awarded where the applicable law or private sector initiatives so provide. In compliance with the Privacy Shield Principles, Re Vera Services commits to resolve complaints about our collection or use of your personal information. EU individuals with inquiries or complaints regarding our Privacy Shield policy should first contact Re Vera Services at privacy@reveraservices.com. Re Vera Services has further committed to cooperate with the panel established by the EU data protection authorities (DPAs) with regard to unresolved Privacy Shield complaints concerning data transferred from the EU. If you do not receive timely acknowledgment of your complaint from Re Vera Services, or if we have not addressed your complaint to your satisfaction, you may contact the EU DPAs for more information or to file a complaint (http://ec.europa.eu/justice/article-29/structure/data-protection-authorities/index_en.htm). Re Vera Services is subject to the investigatory and enforcement authority of the U.S. Federal Trade Commission (FTC).